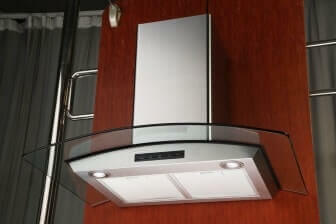 This range hood comes equipped with electronic touch controls and hence it’s easy to handle. You don’t have to hunt for a remote control every time you want to change particular settings. If it’s the first time that you’re setting up a range hood you have nothing to worry about as the model is built keeping the user in mind. Within minutes you’ll have everything figured out. If at all you find it difficult to handle, there’s always the instructions manual and customer service to help you out. When it comes to maintenance we need to consider the kitchen as a whole and not just the hood. There’s no accumulation of grease on the cabinets around the range hood and this is a blessing. 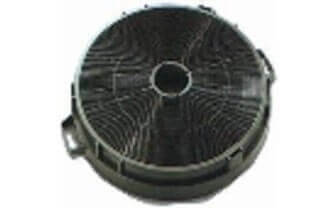 Cleaning of the filters is very easy as you could place them in your dishwasher or even wash them manually. Whenever you’re removing the baffle filters to clean them, make sure that you remove and clean the capture plastic container as well. You have absolutely nothing to worry about when it comes to installing this particular range hood. If you're good at DIY tasks you would easily be able to do it yourself. However, in some cases if there's no good support around the hood you may need a few extra bolts that you could buy from your local hardware store. It would be advisable to buy stronger bolts as the ones included aren't that strong, it may save you some maintenance further down the road. Lighting This Z Line Stainless Steel Range Hood is shipped with 2 halogen bulbs that are pre-installed and they’re definitely a help in the kitchen. However, they’re just 20W each and therefore you shouldn’t rely on them alone. Your kitchen may need additional lighting. 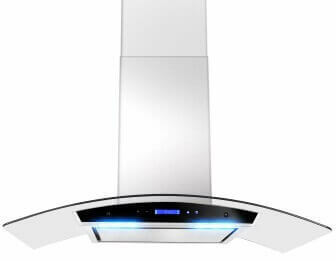 Fan Speeds This range hood is capable of operating at 4 different speeds and hence it would be an ideal model for kitchens with low, medium as well as high exhaust needs. Moreover, the toggle controls are extremely easy to use and hence allows you to save time and power as well. Auto Shut-Off One of the best features of this Stainless Steel Range hood is the presence of an Auto Shut Off option wherein you would be able to set it such that the range hood switches off automatically after 3 minutes.Hence once you’re done cooking you can set it up and leave the kitchen in order to ensure that there are no fumes left when you return. 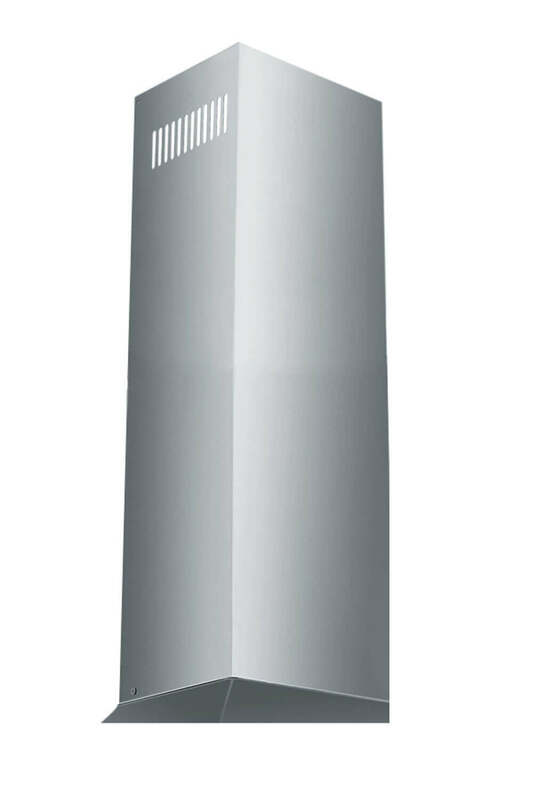 Filters This range hood is equipped with dishwasher safe, stainless steel baffle filters. However, if you’re looking for a Non-Ducted installation you would also need to purchase Charcoal Filters for it to function properly. There are instances wherein you may need to contact customer service. 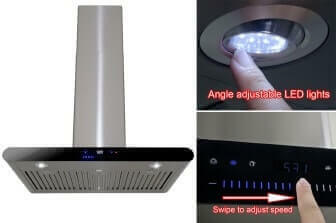 It could be installation help, replacement of parts or maybe service of your installed range hood. Whatever may be the reason, one thing that you should know about Z Line is that their customer support is exceptional and this is one of the main reasons as to why people trust them. After all the great things we've read about this range hood, it's not surprising that it's one of the top selling kitchen hoods on Amazon. You should also check out reviews by other customers before you buy.